The honey trap. Works every time. 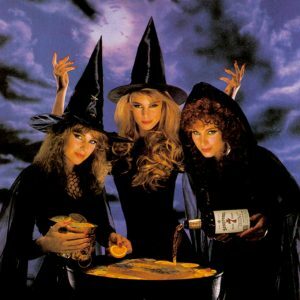 I think we can all agree that these three women don’t fit the image many of us grew up with as to what witches are supposed to look like. Not a wart to be seen on any of them and not only that, they’re mixing their cauldron with Seagram’s 7 and oranges. And a wooden block, for some reason. Definitely too good to be true, which is the whole theory behind the honey trap. Honey trap. (Noun). A stratagem in which irresistible bait is used to lure a victim. This coven is like the modern, adult version of the witch from the candy house that ensnared Hansel and Gretel. And just like that witch, these three are bait, luring in thirsty young victims anxious to wet their whistle from the cauldron that never goes dry. Unfortunately for anyone who takes a drink, they end up like Hansel and Gretel’s predecessors did. Fattened in cages until the witches have a hankering for late night munchies. The additional narrative I made up for this story was that the witch holding the oranges begins to regret getting involved in this whole enterprise. She grows a soft spot, shows some sympathy to one of the victims who promptly takes advantage of her and tries to escape. Will she side with her sisters, and cement her role in the coven? Or rebel against her nature? All I know is I couldn’t get any of that into the six words. 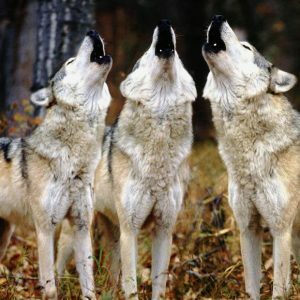 Their howls haunt my dreams still. I feel like I mailed it in on this one as this story really needs no explanation. That said, I actually did come up with a full story for this prompt, something along the lines of a Farley Mowat, Never Cry Wolf, that goes horribly, horribly wrong. In my story, there’s a team of biologists living in the northern tundra to study wolves. They make some attachments, but then a massive snow storm comes along. They lose power, their provisions blow away, they lose their communications gear. The technical (family friendly) term for this is screwed. There’s another blizzard coming along and they know they have one last chance. Make a run to the town 100 kilometres to the south. They make a break for it, on foot, pulling what supplies they have left. And then the wolves begin to pick them off and like the British retreat during the First Anglo-Afghan war, only one of them makes it out. I’ve been playing around with sentence and paragraph structure in my current work-in-progress, so that is what is incorporated here. The story isn’t that complex, the Coles Notes version is that a dad co-slept with his daughter and ended up smothering her. 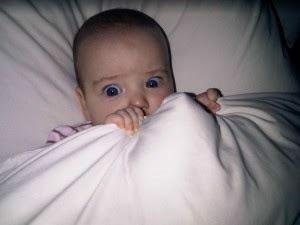 Cue the failed marriage, picture of baby haunting the man’s dreams, and basically just arrival at the bottom of the barrel. Again, probably mailed this one in. A powerful illusion is real magic. The last Hallowe’en themed writing prompt, at last! 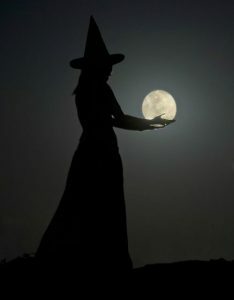 Here we have the outline of what appears to be a witch, apparently cradling the moon in her hands. What power! What talent! What baloney! This is the witch equivalent of a selfie holding up the Leaning Tower of Pisa. No, the witch in this picture isn’t some all-seeing, all-powerful mistress of the night, but actually just a better-than-average illusionist. She performs in the circus and works her way to the height of success considering her limited talent, bringing joy to her loyal fans along the way. Still, she can’t quench her thirst for real power. And when the Devil shows up one night to offer her real magic in return for the teeny, tiny inconvenience of her immortal soul, she doesn’t think twice. She signs on the dotted line as soon as the contract is rolled open! Too bad she didn’t read the fine print. The Devil actually needed the witch’s soul to open up a portal to hell, which he uses to infiltrate demons onto the earthly plane. In devilish fashion, the demons target the witch’s family and friends first, dragging them down to Hell to be the Devil’s Scarlet Pimpernels. The witch goes livid with righteous fury! How dare the Devil, uh, trick her! She summons all of her power only to find out that gifts that come from the Devil, can’t be used against him. Out of ideas and about to be carried off to Hell herself, she rues her stupidity and wishes she’d realized how well off she was as a simple illusionist. And then she pulls some illusion out of her hat and defeats the Devil. Because that’s how the six word story I came up with makes sense. So there.